Offering a superb view of the flames, the versatile styling of the Vogue Midi fits perfectly into contemporary and traditional interiors alike. 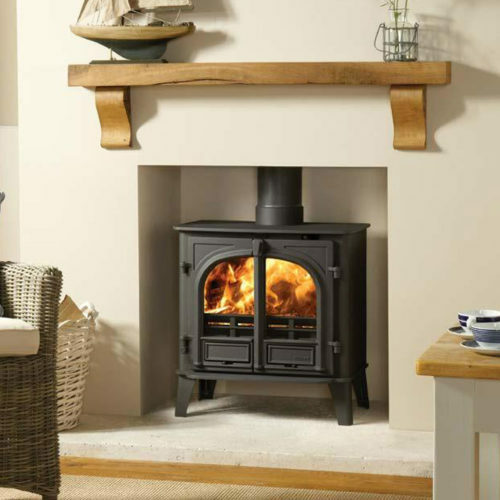 Featuring advanced Ecodesign ready Cleanburn combustion systems, the Midi is capable of burning at an impressive 81% thermal efficiency whilst generating an ample 5kW of heat. All models in the Vogue range benefit from a host of mounting choices including a Plinth, Midline log store or one of the many Stovax stove benches.